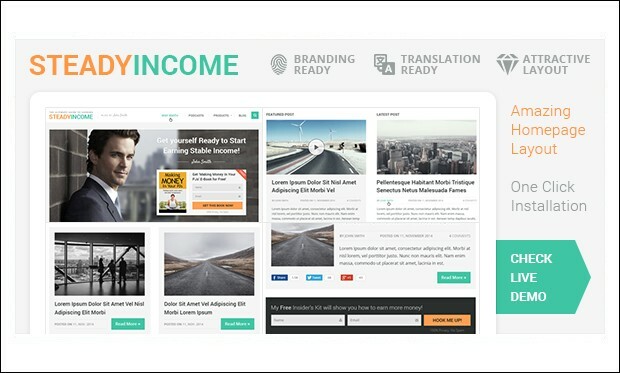 SteadyIncome is the powerful and responsive wordpress theme for SEO affiliates. 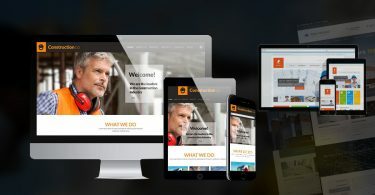 It is feature packed with powerful features like powerful subscription tool, ad optimization, featured products section, and a beautiful responsive design that will all boost your online earnings. 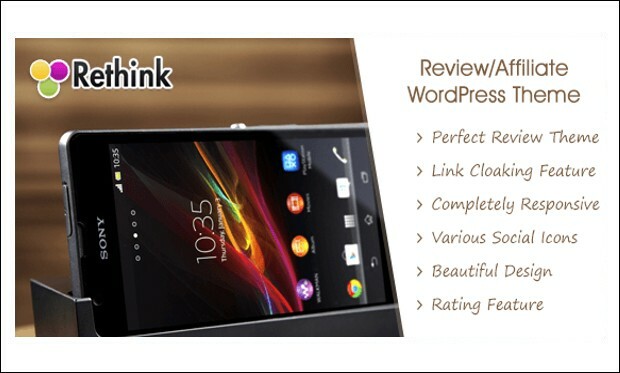 Rethink is the premium responsive wordpress theme for SEO affiliates that helps in creating the optimized website for product reviews with rating system. Its advanced features help to cover the product reviews with rating and affiliate feature with product description. Beautiful Slider to showcase 4-Different Images on Home page. 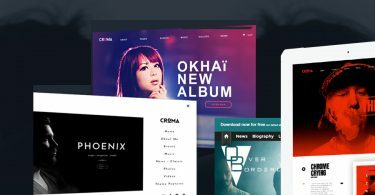 Splash is the powerful and feature rich SEO affiliate wordpress theme for creating the website for product reviews, reviews blogging and also maximizes the content impact. It’s SEO optimized and valid code helps in creating the website that maximizes the online presence. 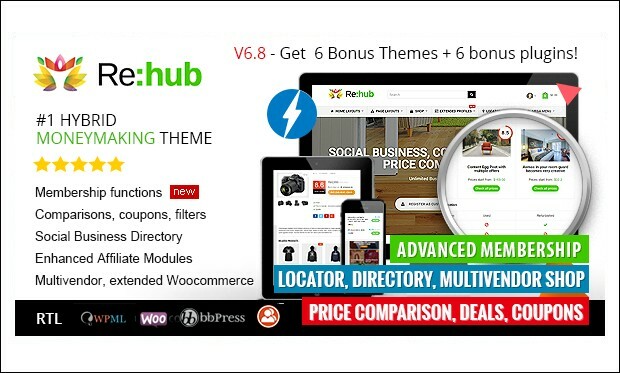 REHub is the clean and perfect responsive wordpress theme with magazine, blog, review, directory, user generated shop and affiliate options. It has many advanced and powerful features and plugins for creating the affiliate earnings, coupon and review website, comparison websites and e-shops. 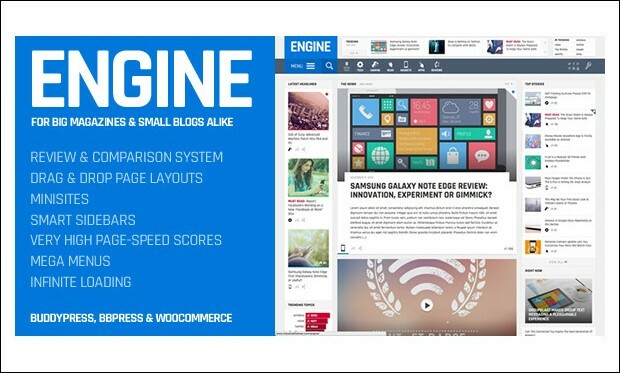 Engine is the creative and best responsive wordpress theme that is designed with SEO affiliates to increase the online presence of the website. It is a perfect theme for creating the websites for gaming, gadgets, news, videos and technologies. 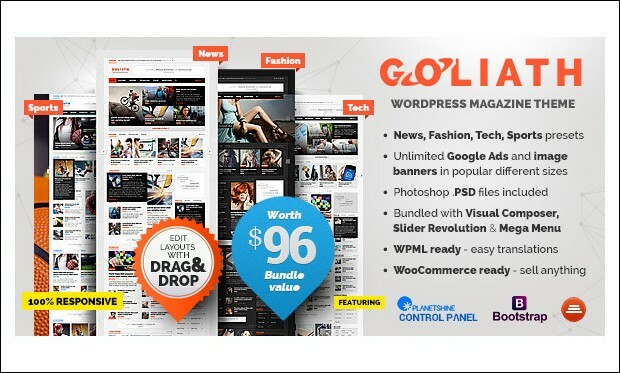 Goliath is the responsive and creative wordpress theme that helps in creating the Website that is SEO friendly. It is well suited for creating the product reviews. 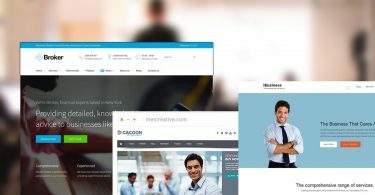 This theme includes ads system that allows you to insert Google Adsense, Iframe or regular image banners. It has tons of features that help in easy and faster creation of a website. A good way to get into the Affiliate market, this coupon code website is easy to manage, and gives the site host the full benefit of complete control. The customization options are pretty numerous, you can adjust the sliders, fonts, colors and sidebars. Create your own coupon site however way you like, no worries about it looking too bland and boring; the custom options will save you. Do a total rebrand by customizing and adding your logo. The theme offers many useful features that improve your Affiliate work like the Click to Copy + Clocked Affiliate Links feature which is very helpful to running your affiliate site. 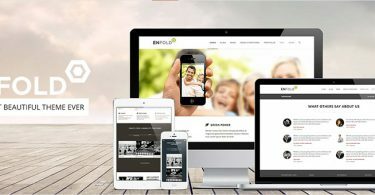 Apart from that, you have the responsive layout that resizes the site to fit the Mobile, Desktop and Tablet devices. 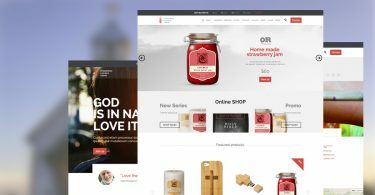 This theme boasts of incredible functionality to give visitors a good experience; it includes multiple coupon child themes, visitor coupon submissions and membership and submission packages. With the competition in the field doing its best to attract visitors, you want to be the best and most successful. The Stores + Store Images & Descriptions feature is one of the best available, so your products stand out and your visitors can even print the coupons or submit their own. Finally, the SEO optimization is one of the best, setting a high standard of content.